OK he was on the 48 hours let’s build a game!!!!!!!!! which he seems to have done quite well. So now it is back to the project!! Now that the robotic arm was engineered, I needed to do test it in real conditions (controlled from the PC over the phone) and see how well it can work when the robot is actually going forward on a ball to pick it. After some slight modifications on the arm to optimize it, I managed to make to arm working perfectly. Here is a video I did on my kitchen table that shows the result of the experiment. Very impressive, we now know that the robot can pick up and deposit a ball. Has done some writing but has been ill.
Jon has got all the bits needed to build the environment. 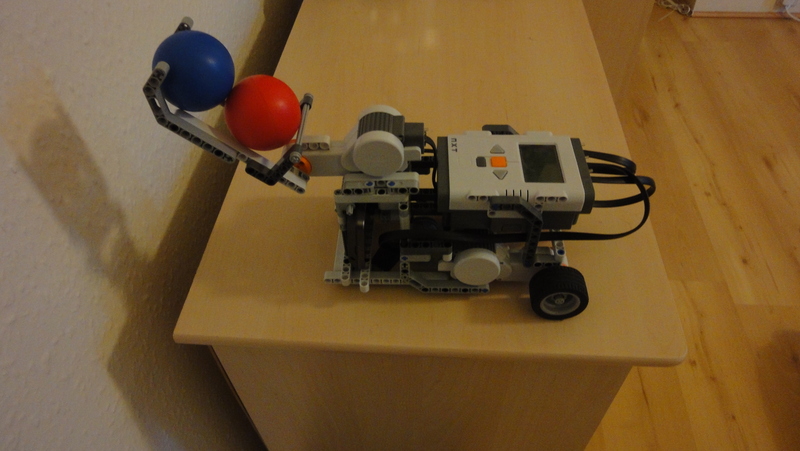 Robot starts at home position finds a single ball, picks it up and returns to the home position. Then add the ability to deposit ball in correct corner. (This will perhaps be the biggest challenge in robotic control. Then add a second different coloured ball and deposit it. In order to create the environment in which the robot will work, we needed to know how high the robot could see based on its distance from a wall. To do so, I did 5 measurements from 5 different distances of a wall and concluded the related linear equation. Note: because I didn’t have a ruler at the time of the experiment (nor any of my flatmate! ), I worked with objects with standard dimensions (a credit card and A4 sheets). Cloth to cover base board and card for edges was obtained, which together with corner supports made an environment for the robot to operated within. The environment was white so as to aid the detection of the coloured balls. In order to illustrate the chapter about the robot engineering, I decided to create a 3D model of the new version of the robot. The newly engineered robot is able to pick up and deposit a ball extremely well. I am most impressed. The interesting bit in fact is the release of the ball and this appears to have been engineered very well. 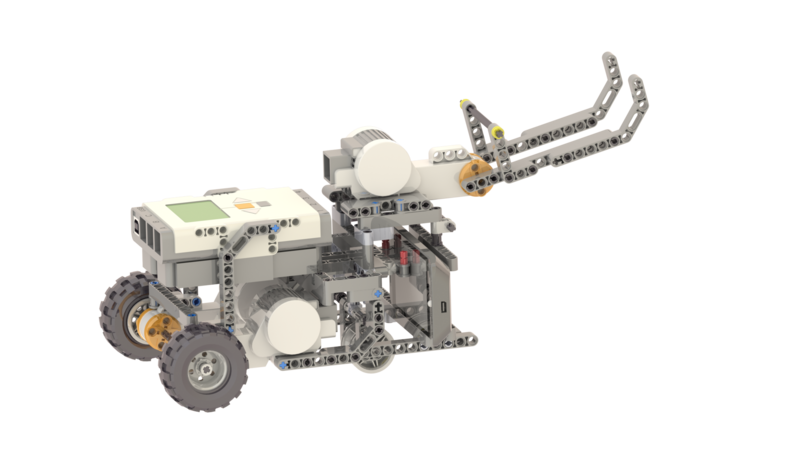 The environment in which the robot will operate has to be carefully designed to fit with the operational characteristics of the robot. The next task is to finish the control algorithm!